Hey everybody! Today I’m a break from WRiTE CLUB to help promote another of my blogging buddies publishing ventures, but this one has an extra special meaning behind it. 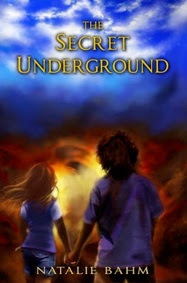 Natalie Bahm’s middle-grade adventure novel, THE SECRET UNDERGROUND will be published as a fundraiser for baby Jayden Huynh, who is struggling with some serious health issues. Natalie has agreed to talk today about the rather unique path this project took to where it is today. It’s some really interesting stuff, and I know you’ll enjoy it! About a year ago I got an email from my agent letting me know that the agency, (Nelson Literary Agency), had hired a digital liaison so that any clients who were interested in self-publishing could do so in a fully supported environment. At the time I nodded and thought, “Wow, that’s really smart,” but I never imagined I’d actually work with this new person. Fast forward to an email I received from a dear friend the following spring. Her eighteen-month-old grandson, Jayden, was struggling with some major health issues and his parents were having a hard time making ends meet. I couldn’t stop thinking about this baby or his parents. I always get really emotional about children in need, but most of the time I don’t feel like I can do much to help. This was different. I KNEW I had to do something. After a lot of thought, I emailed my agent, Sara Megibow, and asked if I could self-publish a book and donate the proceeds to Jayden’s family. She thought it was a great idea. We wanted to be able to give 100% of the profits to Jayden’s family and self-publishing was the only way to do this. 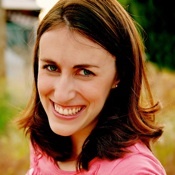 We talked to Lori, the digital liaison, and got the ball rolling. 1. The agency gave me lists of editors and cover artists and I chose the ones I wanted. 2. The editors (I had two—one for basic copy editing and one for finish editing) went through the manuscript and made corrections. 4. The cover artist sent proofs of the cover. 5. Sara and I approved the proofs. 6. The cover artist finished the cover, and my friend finished interior illustrations for the book. 7. I wrote back cover copy (with Sara’s help), bio, dedication, and acknowledgements and sent the whole thing to Lori. 8. Lori took care of all the formatting and made sure it went up on NetGalley (so reviewers can request copies) and Amazon and iTunes for preorders. 9. I emailed a few authors to ask them for blurbs (a terrifying, but very good experience). 10. We announced that the book would come out September 28. The whole thing was about a billion times more involved than I ever could have imagined. I kept wondering how people self-publish alone. I had so many people helping and it was still overwhelming at times. I am extremely grateful to be with an agency that is so supportive. I really couldn’t have done this without them. Natalie that was a wonderful thing you did! Thanks for sharing, DL, and for having such an amazing heart, Natalie (and Nelson Lit)! This has been on my Goodreads list for awhile and I can't wait to purchase it and help support the cause on September 28th. You're a generous soul. The world needs more of you. Wow! What a generous idea, Natalie. I'm glad it all worked out for you and that your agency was so helpful! Sending lots of prayers to Jayden and his family. That is pretty awesome, and a win-win for all involved. Natalie is doing such a generous thing. Jayden is such a cutie. Saying prayers for Jayden and his family. I'll be sure to get a copy of THE SECRET UNDERGROUND. Wow, that is really interesting! I'll be sure to pick up a copy when it's released! What an amazing experience-- and an amazing thing to do. I'll be keeping an eye out for this one! Thanks for sharing. What an awesome and inspirational thing to do! I hope it does amazing, and I wish you tremendous success!!! And many prayers of support to Jayden and his family, also! Sending you good vibes for such an inspirational journey. May it be a super success. Wow, what a story. Kudos to Natalie for doing such a generous thing. I hope she sells a million copies. I'll definitely buy one, so only 999,999 more to go! Thanks for letting us know about this, DL. Wishing you much success with this venture and many good things for Jayden and his family. Thanks for sharing the story---with the boom in self publishing having an agency involved seems to make a lot of sense for both agents & writers. Natalie, I know I've told you this before, but you are truly amazing! What a kind and altruistic thing to do -- using your gift of writing to help Baby Jayden. Thanks, DL, for having Natalie as a guest on your blog. You know I'll be buying the book and supporting the cause. What a creative and generous way to help. All my best to baby Jayden and his family. What an wonderful thing to do for your friend. A very interesting publishing story as well.